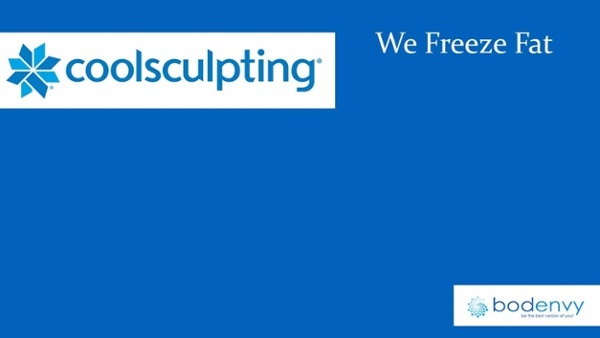 We are the only CoolSculpting provider in Central Florida that focuses exclusively on body sculpting services. CoolsSculpting is the foundation of our body contouring services. To maximize our patient’s results we have a patented program that includes fat reducing, skin tightening and muscle toning technologies in a regimen that is roughly the same cost of CoolSculpting alone! Remember that 50 is new 30. So, I guess were 30! It’s a body contouring procedure that uses cooling technology to freeze fat. This FDA cleared procedure eliminates fat cells without plastic surgery. It’s easy and most patients report minimal to no pain. You can go back to work, the gym or play immediately after the Coolsculpting Orlando procedure. If your unhappy for any reason we will provide one more CoolSculpting treatment for FREE. See guarantee page. We are experts that only do one thing, body sculpting. Would you go to a dermatologist for cardiac surgery? Our treamtent plans not only reduce fat, but also tighten skin and tone muscle for the same price of CoolSculpting alone. Jim and Helena have found that most aesthetic practices focus on just targeted fat loss, which works, but they realized the “WOW” factor could be improved. They decided to take it two steps further to maximize body sculpting results by including skin tightening and muscle toning. It’s known as the “CoolSonic Plus” body sculpting regimen. It combines the world’s best scientifically proven, non-invasive and FDA cleared body sculpting technologies at a price that others charge for just CoolSculpting. You will only find “CoolSonic Plus” at BodEnvy. Call Helena today at 407-NEW-BODY and set-up a no-obligation consultation today. There is no cost and it can change your life! As Helena often says, “my name is behind this and we are going to make sure people love their body.” Did we mention Jim and Helena offer a 100% satisfaction guarantee? Interested In BodEnvy’s CoolSculpting Cost? The price for BodEnvy CoolSculpting and body sculpting services vary based on the areas of your body you want improved, how many inches you wish to lose and how fast you wish to reach your goals. Click here to get your price, CoolSculpting Orlando Cost. As you will see, our value is unsurpassed in Central Florida. Call 407NEWBODY today for your free no-obligation consultation. Men Need Body Sculpting Too! The number of men that are getting body sculpting services in Orlando continues to increase. In fact, it's become a large part of our CoolSculpting and body sculpting business. For men we offer the "Men's Den." It's a multi-TV-screen, music, sports and car enthusiasts dream. There is nothing lady like about the Men's Den CoolSculpting.